Shot with my 5DMKII and 600mm lens, the evening was supremely clear. I have been trying for some time to get a really nice image of the moon in full regalia. I think I may finally have done it. Posted on Wednesday, October 17th, 2012 at 10:36 pm. 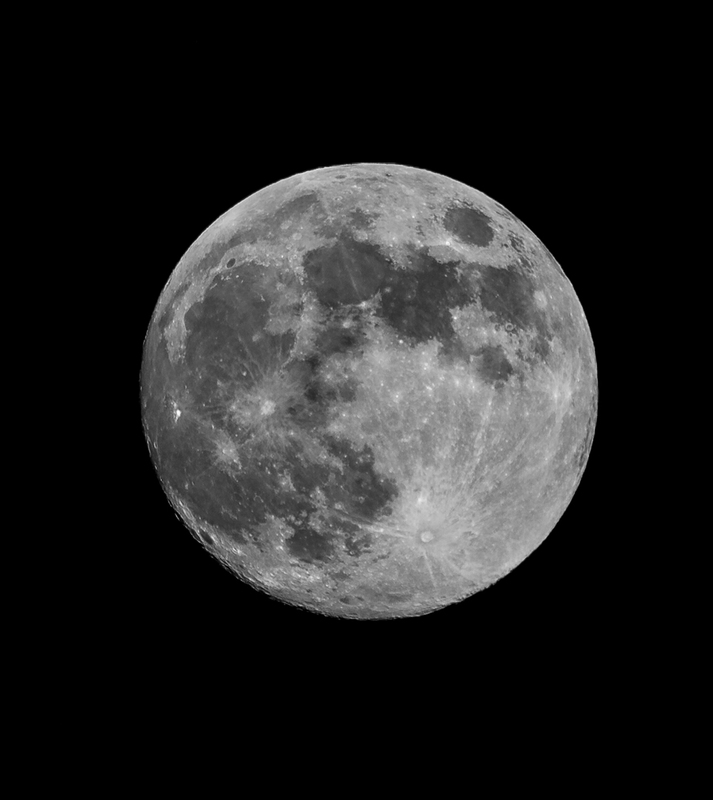 Filed under: Black & White, Sky Tags: B&W, black & white, full moon, moon	RSS 2.0 feed. Sweet shot!! It takes a while to figure out exposure settings – lots of trial and error. Love it! This is an amazing shot of the moon, dude. Nice going. So crisp and clean. I feel like I can touch it. great shot Chris, technical perfection. Always refreshing to visit your photos!